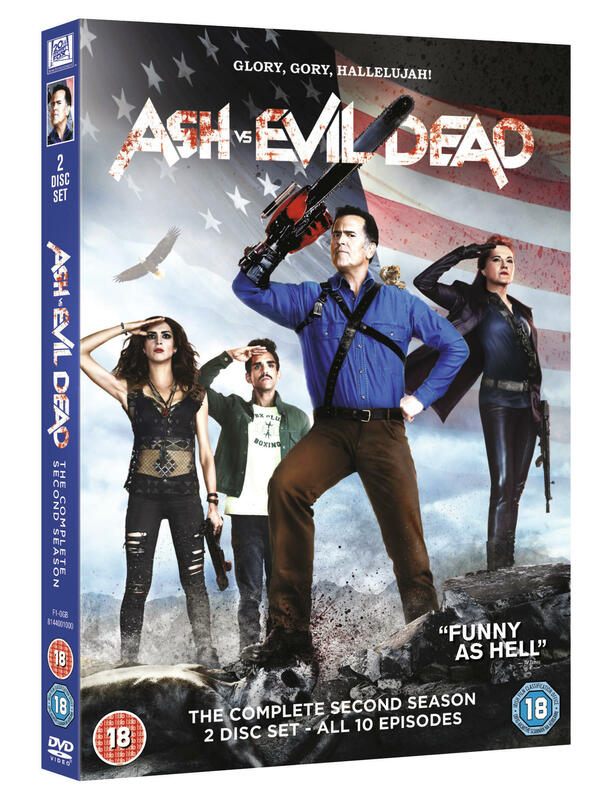 To celebrate the upcoming release of Ash vs Evil Dead Season 2 on Blu-ray™ and DVD on 23 October 2017, we’ve got 3 Blu-ray copies to give away! Locked and loaded with the same twisted humor and gory kill scenes groovy fans of the franchise are used to, “Ash vs Evil Dead”: Season 2 continues the chainsaw-slicing, shotgun-blasting fun from the first season. “Ash vs Evil Dead”: Season 2 stars Bruce Campbell (The Evil Dead franchise), Lucy Lawless (TV’s “Spartacus: War of the Damned”), Ray Santiago (In Time), and Dana DeLorenzo (A Very Harold & Kumar 3D Christmas), as well as this season’s introduction of Lee Majors (TV’s “The Six Million Dollar Man”) as Ash’s father. This season roars back into action with Ash leaving his beloved Jacksonville and returning to his home town of Elk Grove. There, he confronts Ruby, only to find that she too is now a victim of evil and in need of Ash’s help. The former enemies have to form an uneasy alliance to give them a chance of success as Elk Grove soon becomes the nucleus of evil. For a chance to win a Blu-ray copy enter via our competition app below! ASH vs EVIL DEAD Season 2 slices its way to Blu-ray™ and DVD on 23 October 2017. The competition ends at 23:59 on 29 October 2017. The prize consists of an Ash vs Evil Season 2 DVD.